i find myself on the brink of another big change in my life and have the feeling to share my journey with you - in fact i think it is also about exposing myself to 'the public' to see that there is nothing to be worried about the future. To introduce myself very briefly, my Name is Thomas, i am an incarnated angel, living on the continent of Africa since about 2012. For what started innocently in beautiful Nambia and took its way in extremely distorted South Sudan is to arrive for the moment in conflict shaken Mali. It feels very right to be here now. For all my life i had this one notion without being able to explain - 'i have to go where people are needy of help'. As the universe wants, i do find myself having an awesome job in development cooperation, being given to manage a project that constructs small dam structures for whole villages to be able to cultivate rice and vegetables, which was not possible before. All the while i do find enough time to go within, meditate, find calm, develop physically and spiritually. At the beginning of last year i received a vision about a round house and did not hesitate a blink of an eye, constructing that which is my current housing since beginning of february. The house might become a retreat center or a training center for healing in the future, i'll go into detail about this at another Moment. Now the big question - what is there unfolding for me in Mali? I am clear that i have a big task to fulfill during this lifetime, which is about doing pioneering work in raising the consciousness of the people of Africa. Yes, your are right, Africa sounds big, but it feels to be true without any ego involved. Since the past full moon about ten days ago, i sense an immensely strong pull to start actively working with people here and to assist them in advancing with their lives. I am happy for this, as i was already waiting for the green light. I really want to do that and i believe i am well prepared for starting to doing consciousness work with the people here. My way led me to learn some powerful energy healing techniques and homeopathy and to develop my intuition to a good degree, that should do for the start. So during these last days, there are many cases of illness imposing themselves on me that i do feel an inner urgency to act - however, i do hesitate (and start to feel my lower back hurt) not knowing exactly how to go about it practically. What gives me confusion is that these cases are not about people who are on the spiritual path, with spiritual solutions known to me. These are just very normal people having issues like inflammation of the bladder, a broken leg, or furuncles - acute issues that would normally call for immediate medical attention. So am i to become a 'doctor'? I do hesitate about this notion as i believe that western medicine has its rationale - or, is it? Now i am wondering how to go about it, knowing that nothing is impossible and all kinds of techniques can be combined. Like a low-level spiritual approach (say base-chakra) that is more centered on establishing a base in the physical to enable future spiritual development. 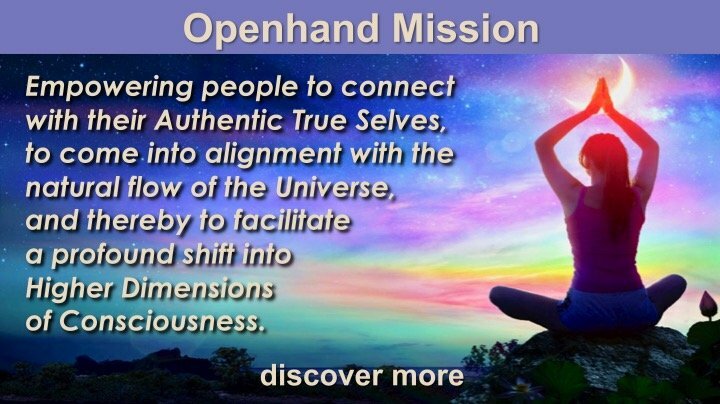 I meditated about a solution this morning and guidance pointed me towards starting this forum topic to share and to benefit from the vast experiences of the Openhand Network. So i would be overtly happy about your reflections. 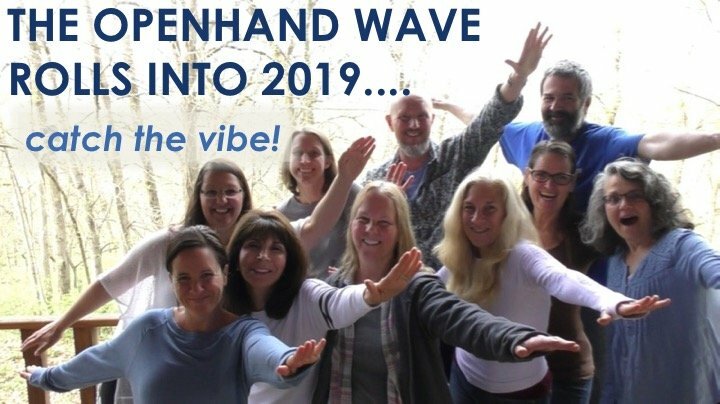 Great to hear from you - your sharing is most welcome and timely, especially having just completed our first Openhand retreat in Mozambique a few weeks back - I wonder if you tuned in? It's clear to me, that a huge amount of healing/self realisation work needs to be done there in Africa. If you're asking from an Openhand perspective, it's essential people start to get into the karma of the very convoluted past on the African continent - violence, surpression, ethnic cleansing, disempowerment. And also much religious/spiritual dogmatism that limits people's consciousness. I could feel all of these things in the field during the retreat. In order for anyone to work at this level, they would first need to have explored deeply into their own karma and at least begun to process a good deal of it. In true healing, one can only heal to the degree one has healed oneself. In working at a karmic level, you surely can beneficially influence the entire field there - when someone makes a realisation and begins to live it, then their vibration influences all around and begins to cascade outwards. First begin with yourself and work at the level which you're able to at this moment. 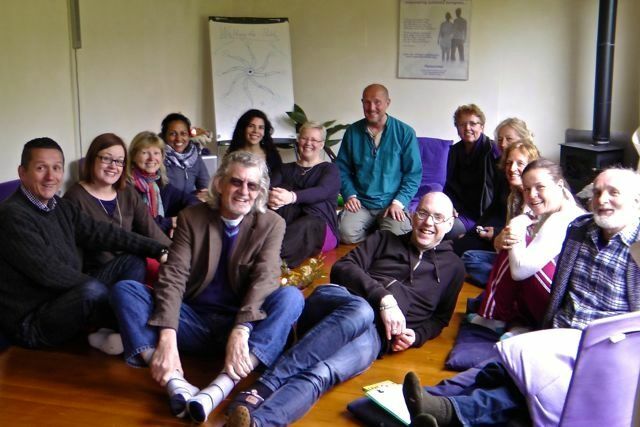 In the Openhand Facilitator Program, we also look at how to bridge into the old consciousness. Those around you might not understand the need to process karma or to self-realise. Yet all illness and disease (including 'accidents') emanate from karma. But you may first need to bridge in with a practice they would understand and relate to - which could include some alternative healing method. But then the invitation is to progress that to self-realisation as a part of the service - through an inquiry mechanism which gets them to explore within (in the facilitator work we use an inquiry process called SEER). When you're clear about what you can offer and how to work, you just need to begin where you are with who shows up - your emerging resonance will draw. Expore, develop, unfold and continually innovate how you might help. Essentially it's all about soul infusion and integration by reflecting the light and helping the other connect with the resonance inside of themselves (self-realistion). I'd say that goes for any true healing modality. As you become increasingly effective, you start to gain support from those around you in the ether - call on the angellic realm to support your work. When you mentioned creating a round house, I sensed immediately that it could be used for meditation and self realisation with people. Sounds like a great idea. thank you so much for your words and support. I did tune into the retreat in Malawi a little bit and realized that you realized that things are quite different on this continent. The minds of people here are of different shape and content as in the western civilization, often very traditional and often heavily influenced by religion. Lots of young souls also. However, accessing spirituality is a lot easier than elsewhere as people are open towards alternative healing methods and know about the connection between body and spirit (Voodoo and the like). I did my first client session, let me sum it up for you. Last week one of my collegues told me about his sister in law who is suffering from a severe inflammation of the bladder and the prescription which he is not able to pay. For the quick relieve of the physical symptoms, i intuitively programmed a bottle of water to become a homeopathic remedy and added some angelic healing energy. After some days already, the Inflammation was gone, and i invited the lady and her husband over to talk about the source of the disease. 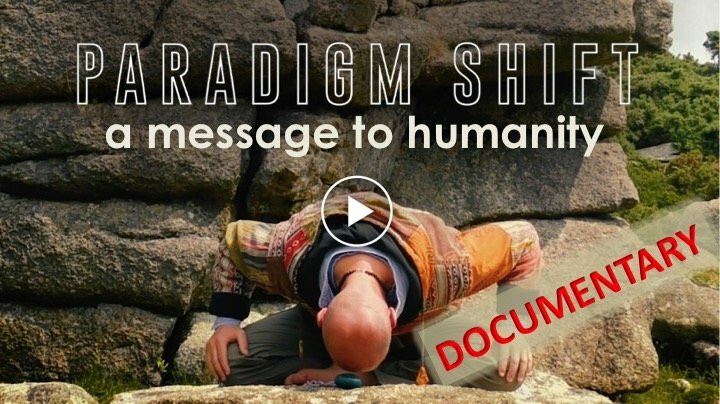 --> As there is a lot of traditional medicine and practice here, the 'bottle of water' sufficed to bridge into their belief system and to establish trust in order to proceed to the self-realisation part. So this morning, we had a 45 minutes talk. Other than the fact that she needed translation, which complicates things already, i realized that they were not in touch with their feelings. I know that is normal when someone is not looking inside. During all the talk, a song comes up in my head crying "redemption", so her soul crying out clearly. It quickly came out that the inflammation of the bladder is tied to her - after successfully having had one baby - having lost numerous unborn children. In conclusion, I adviced them and the familiy to deeply explore into the feelings, being completely honest with themselves and each other. The more obvious result here was to guide them to find acceptance with the situation and surrendering to their feelings (and not dropping them). Another theme that i realized (but felt to not talk about for the moment) is the reflection of self-sabotage that emanates from her. Even though she told that she would not hold herself responsible for the loss, i got the strong feeling that sincerely she does not want another child. As this goes against the culture here, it is causing her to be easily agitated and often having headache, as of the inner conflict. I gave some angelic healing Energy into her belly and reproductive system as well as the chakra system to be able to let go of the inner conflict. I decided not to go full on to confront them with the karmic source of the issue, but to permit them to have some time for reflection for themselves for the moment. I will invite them another time to talk about sabotage and to see what happened during the first childs birth. Like you say Open, it's about constantly innovating to come closer to the methods that better suit the expression of my soul and to have an easier access to the inner worlds of the people here. Thank you for the advice to start with 'who shows up', that broke down a big barrier inside of me. I do work in the field as well and do feel the continental collective consciousness. This is an enormous task for the future. Hi Thomas - it sounds very wonderful what you're doing and how you're approaching the healing - caring, compassionate and holding the space - tremendous. What's also essential, is that you're halping them self-realise through the issue - which means they heal at a soul level where the causality of the situation lies. 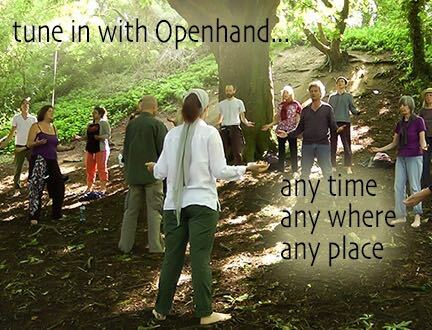 We should get you to come on the Openhand Facilitator Program to develop the skills further. It would be wonderful to have you involved. It is so inspiring to read your willingness to just delve into the unknown and follow your soul, and do such important work. You mentioned that the African minds are very different from the Western way of thinking, as they are very religous and traditional. I'm wondering whether you could expand a little bit on the different ways that their way of thinking is different? Are there any similarities? (like the openness to witchcraft and alternative healing?) I am asking as clarifying the similarities and the differences might help with the bridging of perspectives. The work you are doing sounds really exciting! This song goes out to you, and all the lightworkers out there ( here!) working to bridge between worlds! i am more than happy to have your feedback and humbled and honored by your offering to bring me into the Openhand Facilitator Program. I didn't see that coming . Would it be interesting to join the upcoming event in july already or would you propose another future one? Concerning the Lady i talked to, it seems like her situation is worsening as the problem is now openly presented in her and her family's consciousness, so there is a lot of projection going on. I do support her through the ether energetically to help easen her ego and to enable her to reckognize what this is really about. I already offered her to come by another time, only herself, once she is ready. Yesterday i was a bit pulled down by this new development and i felt the slight arising of feelings of guilt and thoughts like "now i wanted to do something good and the situation is worse than before". Then i realised that it was the same with me all the time when i confronted and dug up an issue, so first you cross the valley before you can go up again to see the sunlight. I feel myself wanting to take responsibility of the Situation and i feel doubt towards her capacity to realize the core of the issue. I know this is ego and i can stand above that, so it's interesting to observe and constantly be Aware of letting go. I guess that maybe it's like learning to drive a car, in the beginning there are all sorts of little mishaps acting as waypoints to show one into the right direction. I realize that Looking at my own issues is a lot easier than to assist others to do the like. My humble respect to all those around the world who actively do this job! Alex, thank you for the great song and the message to bridging the perspectives. I'll take that as a beginning thought to reflect your very important question, which i actually do not have an answer at the moment. I'll let you know.